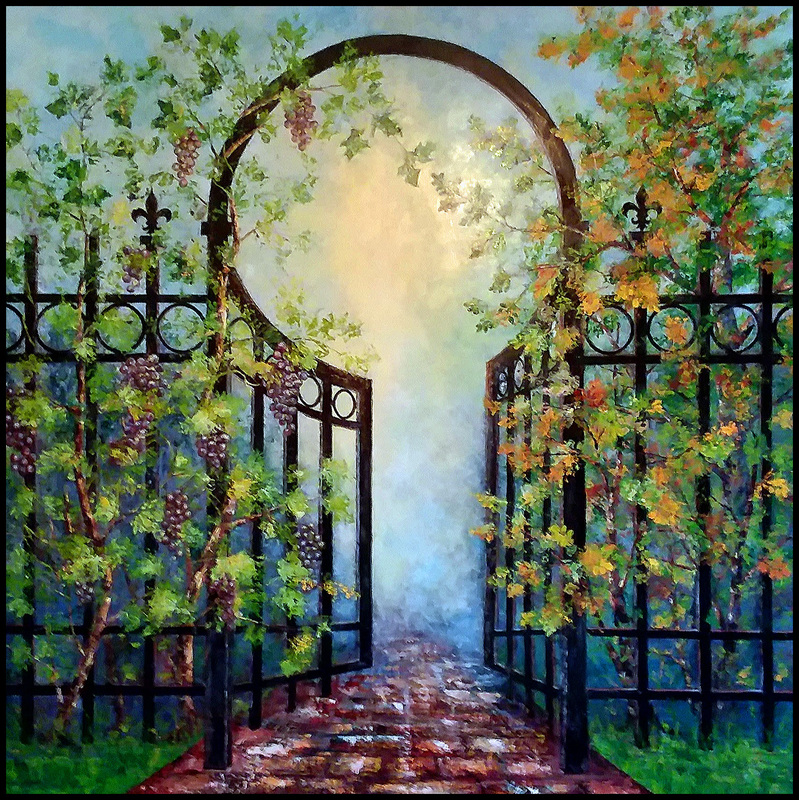 Cellardoor Winery - Commisioned Work, Label for "Iron Gate"
The creation of wine and art are two of the oldest human/cultural expressive endeavors and so the idea of an artist label series by Cellardoor is a perfect partnership of creativity. As an artist and lover of history, archeology, and ancient cosmology, my work is inspired by meaning and symbolism. Creating this work for Cellardoor was the perfect opportunity to immerse the ancient symbols of our world to express the many thoughts, processes, and efforts which brought this wine to fruition.